The Lender Finance Group within CapitalSource, a division of Pacific Western Bank, provides senior loans to consumer and commercial finance companies including marketplace lenders and loan acquirers, merchant cash advance companies, small business finance providers, real estate lenders, vacation ownership developers and entities operating in a wide variety of other asset classes. Their loans range from $5-$75 million. Pacific Western Bank, a Los Angeles-based commercial bank has $21 billion in assets and 74 full-service branches located throughout the state of California. Pacific Western Bank is a wholly-owned subsidiary of PacWest Bancorp (NASDAQ:PACW). 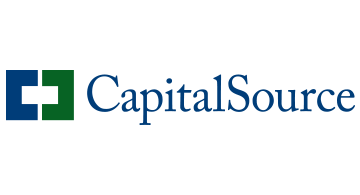 For more information, visit www.capitalsource.com.